Talking about cabinet table saw reviews is doing only a bit. Now a different article is here. We will be talking about how to use a table saw. 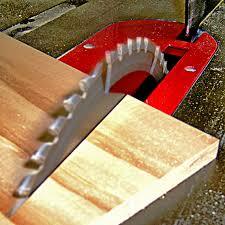 Table saws are very useful wood equipment for having safer wood cut. For convenient use, first of all, you need to set it up accurately. Gradually, it becomes easier to apply. In this article, I will make you learn step by step how to use a table saw. Just stay with me and enjoy reading the post. First of all, you need to safeguard yourself from unwanted accidents. An inch of carelessness might cause something serious as table saws are powerful and dangerous tool. Wear safety eyeglasses, hand gloves, ear protected plugs etc. to make you save your eyes, ears and fingers from saw dust, debris and sharpen materials. To use a table saw, you must know about its parts. There are fences, fence dog, blade, blade insert power button, blade wheel etc. in it. You need to learn how they work and what they are used for. To reduce the possibilities from unwanted kickback, blade guard acts like a potential element. Insert it and enlarge your safety level. Then adjust it with the ultimate piece of wood density. It should be at least .25 inch higher compared with the thickness of the wood. To cut the wood pieces with accuracy, fence adjustment is important to do. A lever on the front of the saw ultimately controls it. Then lift this and it will start sliding. By raising the saw, have a measurement of it. For better adjustment, simply take the front and back measurement of the saw. Sometimes, it is necessary to change the blade when needed. First of all, you need to measure the blade height. A scrap wood is required to hold near the teeth of the present blade. Next, you can use a wrench to make the nuts to loose. This will make things easier to remove and replace the new one in that place. Now, you can apply your desired cut. For doing cross cut, required measurement tool is necessary to apply. Again, you must take the blade height properly and use the right part of the saw to smoothly complete the task. On the rip cut, fence and blade height adjustment is must to do. Make sure to put the cutting board against the fence part. Excessive force application is not mandatory in that case. A bit of maintenance is mandatory to keep the work smooth and hassle free. Checking the blade teeth and gears are important for performing a great operation. For any repetitive cutting jobs, table saws are a very supportive tool for smooth wood cutting performance. 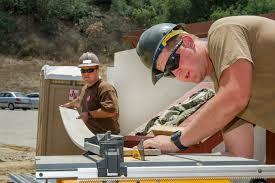 From this article, you have come to know how to use a table saw. This handy tool is very productive and useful in any necessity. Particular safety measures should be taken to avoid unwanted accidents also.